I know this sounds odd, but one of my favorite things to do is to organize stuff, especially stuff in closets. I think I have some pretty good techniques on how I store and organize my clothes and gear so I am happy to share them with you here. 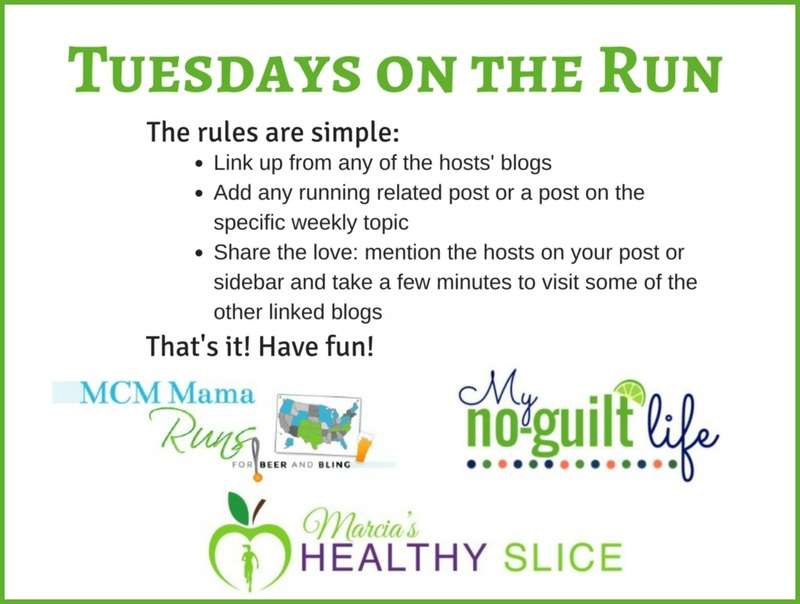 Some of these I have mentioned before in a previous post called The Runner's Room, where I talked about how I organize my dressing room. For around $10 a piece, I bought these closet organizers. 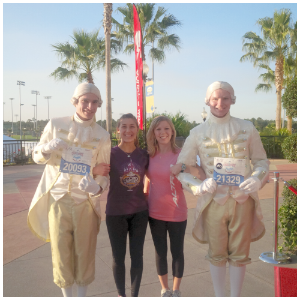 In the one on the left I store all my running shorts, skirts, capris, and pants. 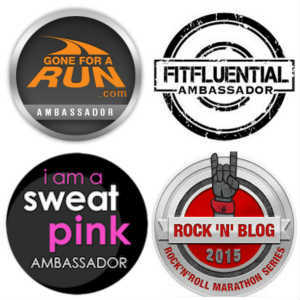 Below that are cotton race shirts that I actually do like to wear, but not for running. In the one on the right hand side I store all my tops. Tank tops go on the top since I wear them the most, short sleeve shirts in the middle, and long sleeve shirts on the bottom. I admit I did refold all these shirts since this picture was taken. The shirts don't look in disarray! I also have a separate section for just running socks and sports bras. I organize all my running shoes on top of the rack I hang some of my clothes on. My husband does not think it is a good idea to store shoes above where I hang my clean clothes but 1) I always make sure my shoes are clean before I put them away and 2) I place the shoes on top of their original box. So see, I'm keeping it clean! You can see a picture of my shoe organization techniques from this post HERE. 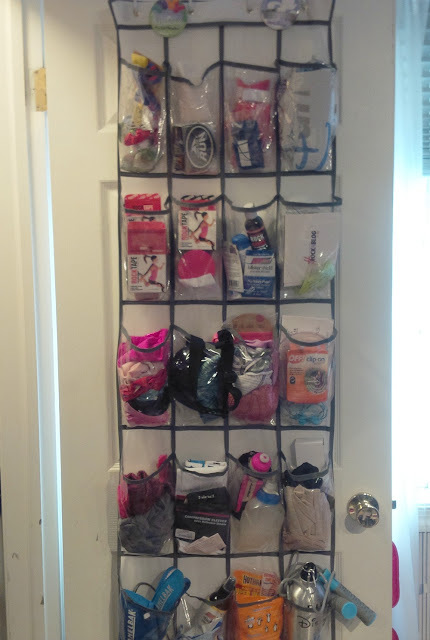 In my dressing room, on the back of my closet door, I have this over the door organizer (also for around $10). This is where I store things I use for running, but things I don't need or use every day. These things include body glide, extra GUs, extra water bottles, calf sleeves, KT and Rock Tape, heat sheets, gloves for winter running, heat patches, biofreeze, etc. I have a shelf in my bathroom that has hooks on it. This is how I organize all my headbands. If you are interested in checking out my favorite ones for less than $10, you can read that HERE. If you haven't already seen how I display/organize my medals, you can see that HERE. I probably do need to update it some. I now have all three of those racks filled! Now on the back of the door in my foyer is where I keep my running essentials that I use for every day running (if they aren't already in my little running tote). This is wear I keep my Garmin and charger, my ipod and charger, sunscreen, sunglasses, pepper spray and anything else I may use on a regular basis before I go out the door. And yes, even though it is not a running essential, I do keep a lint roller in there because when you live with a Yellow Labrador a lint roller is a life essential! PS: sorry for the sub-par photos. I love hanging thing on the back of your door - you really can see all the little things that we runners sometimes need. I hang my shirts in my closet, but that's because I hang them to dry and it would be silly to remove and fold them at that point. Plus I have room for extra hanging stuff. I do need to rethink how I store my capris and tights as that has gotten a little out of hand. Thanks for the inspiration! Haha, I still hang my shirts to dry and then I fold them to put them away. Counter productive I suppose! I am not one bit organized but yet I have a system that works for me. I'm so envious of yours, tho! Maybe I could hire you to get me whipped into shape? I'd love to get you organized! Wow, I am definitely impressed! I am somewhat organized but my stuff is all over the place. I would like to keep everything in one room. 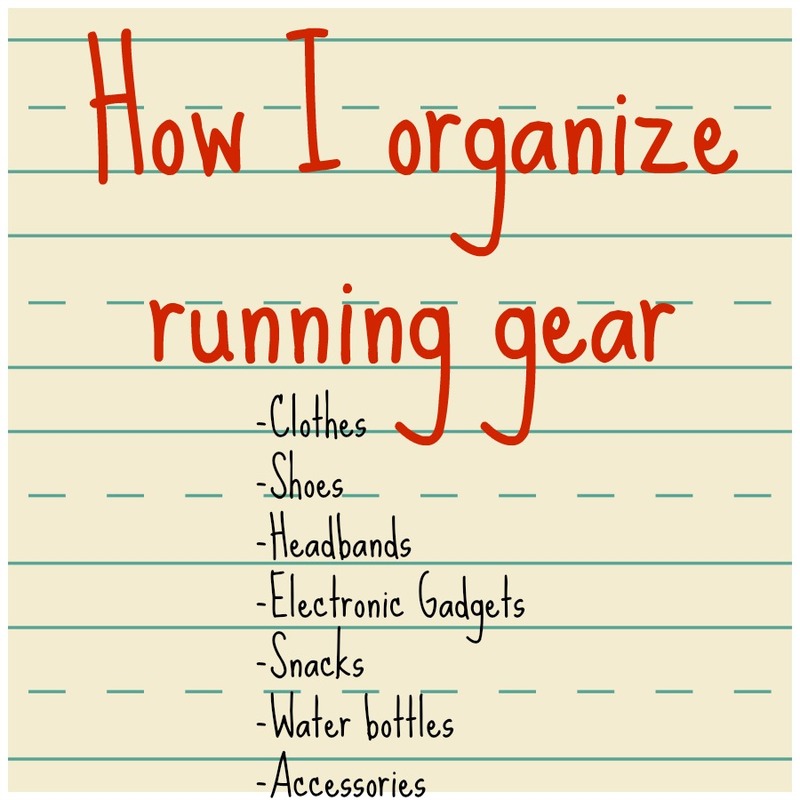 I live in an apartment for now but maybe once I have a house and more room then I can have a more organized system for my running stuff. I have been working on a few ways to organize my running skirts. It seems to work for a few days and then it's all messed up. You might get swallowed up and never find your out in my home . . . but you have given me some ideas! I LOVE it! Organization is one of my favorite things! Looks like you have a great system down! Your system is impressive. I like that your clothing is in plain view vs having to dig through a drawer, which is what I do. It's a pia. Also love how you've corraled your gadgets. I'm notorious for misplacing mine. Just in time for me to think about going to the Container Store. My bottom dresser drawer has all my running shirts, along with other stuff, and it never stays organized. I have room in my closest for a small shelf or drawer thing. I need to see what the Store has because it's driving me crazy that my shirts end up in a jumbled mess. 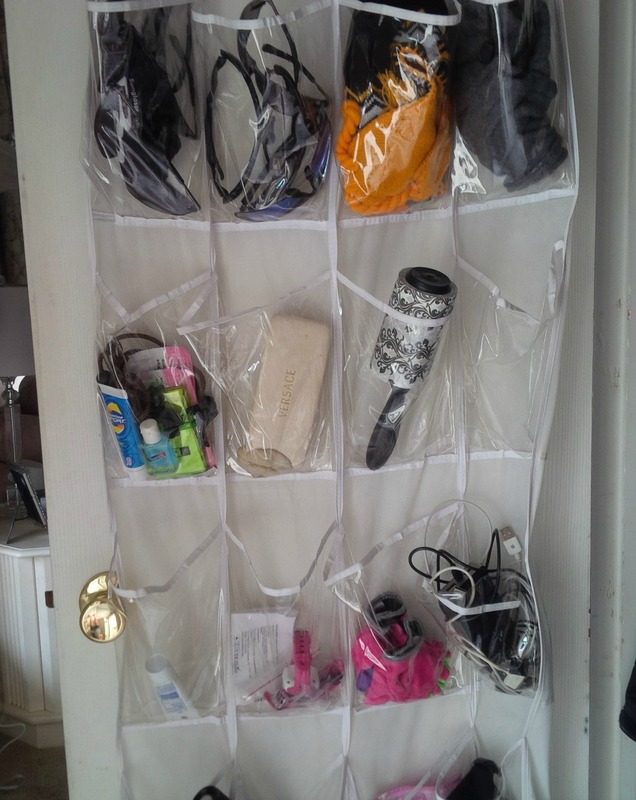 I have those same closet organizers, I bought mine at Walmart for $6, and they have been the best purchase. I used to fold all of my running tops, now I roll them. For some reason, I'm able to get a better view of each individual shirt (organized by long-sleeved, short-sleeved, tanks, etc.) and it's much easier to pull out the "perfect" top (to go with the "perfect shorts") from the bottom of the pile without making a total mess. 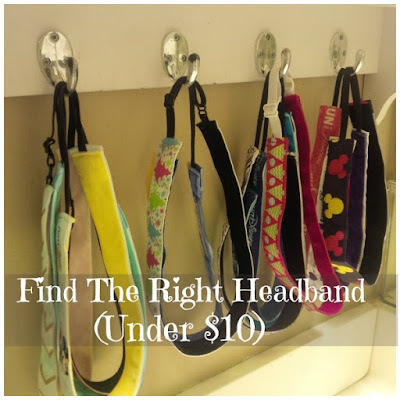 I use a similar set of hooks in my closet for my long necklaces, but I never thought about using them for my headbands. They are all thrown into a drawer underneath of my sink. I might have to get another set or two of the hooks the next time that I go to Target. Thanks for the idea! Wow, you are so organized! 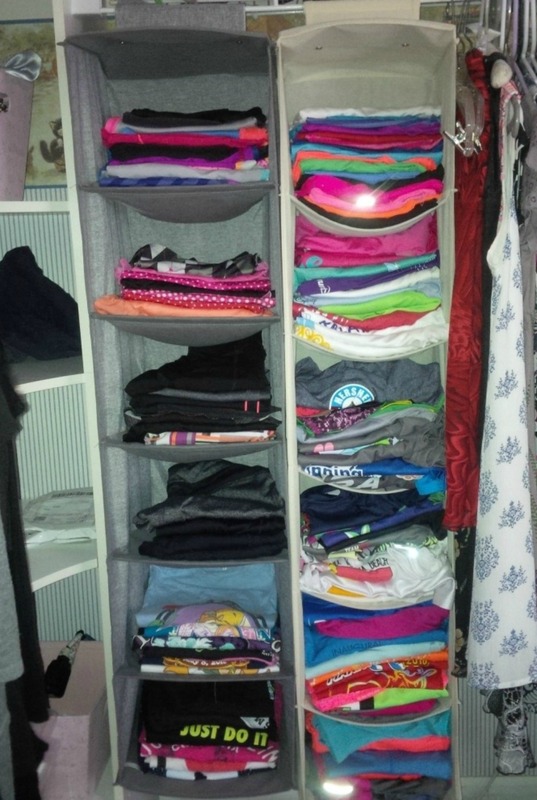 My T-shirts and running clothes need their own closet, it's ridiculous...I store them in bins now but I really wish I Had that shelving system...I was thinking of buying a wardrobe just to put my running clothes in, lol! You are so organized. Does your life feel more calm when your things are organized? Mine Does! 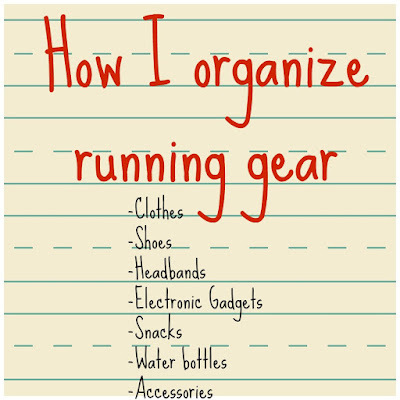 Though I will admit while I know where all my running stuff is, it's not that organized. I should do a post about that! 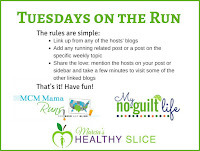 Summer Running : I have the time! What does your Amazon list say about you? What's in the 20 year old running tote?